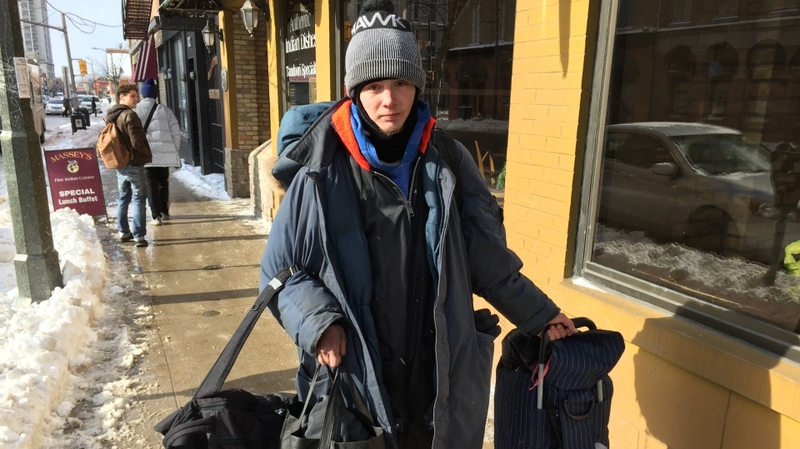 In frigid temperatures in downtown London Wednesday, Devin Morris could be found lugging his belongings around in knapsacks and duffle bags. The 25-year-old is currently homeless, and has been on the social housing waitlist for three years. While he receives $900 per month in Ontario Disability Support Program payments, he says it’s not enough to afford a place of his own. And because he’s experiencing personal issues related to mental health, he says he’s uncomfortable trying to negotiate rent with landlords. The waitlist for social housing grew in 2018 at what is believed be a record pace. In his State of the City Address last week London Mayor Ed Holder revealed the waitlist increased by 34 per cent over 2017. There are now 4,770 eligible Londoners on that list, including families, couples and singles. Managing Director for Housing and Social Services, Sandra Daters Bere tells CTV News that number only includes the people they know about, and that there are many more waiting who are unlisted. The housing numbers were released as a deep freeze falls over southern Ontario.